A really fab romantic gift! 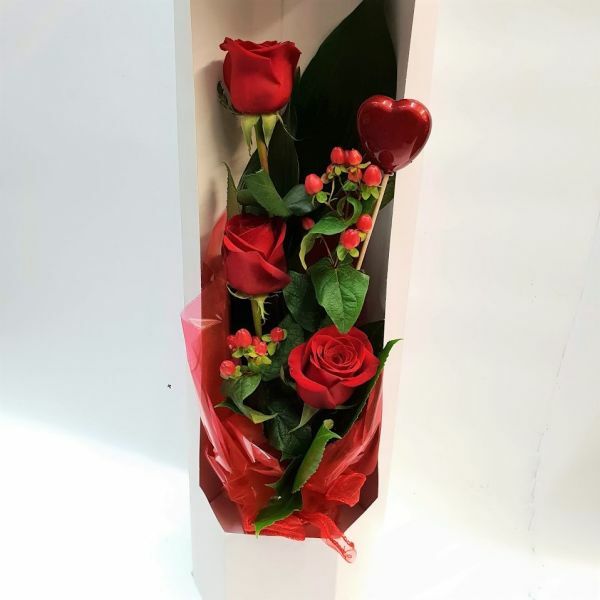 Wonderfully luxurious red roses, hypericum berries, exotic foliages and a pretty heart fill this interesting hexagonal gift box. 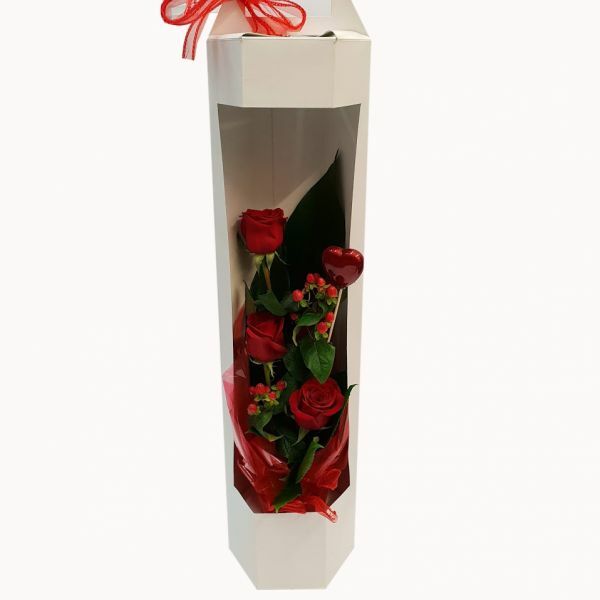 Display as shown or in vase of your recipient's choosing. 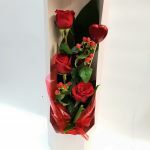 Send something different!